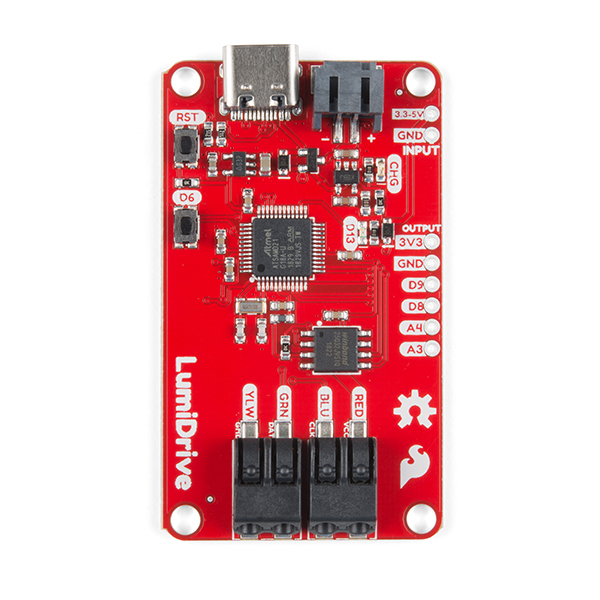 GIven the similarity to the SAMD21 Mini Breakout (DEV-13664), could this also run the Arduino core? Yes, check the Hookup Guide for more info under "Example Code". Please add a simple power switch to all your controller design. Many of my power sources (USB power bank, LiPo battery, etc) do not have a power switch built-in. If that is too expensive for you to add, just add 2 holes and a cut-able PCB trace for users to add a switch. OK? I don't believe D8/D9 can be used as an I2C port (although I believe you can use A3/A4). Check out this tutorial on setting up sercom ports for more information. I'm confused by the LiPo support. When connected to a battery, it doesn't output 5v for the LED string. Since APA102s all appear to be 5v devices, I don't see how this is meant to be used. Also, would be great if there was some accommodation for a switch or enable pin (like the LiPo charger/booster you sell). 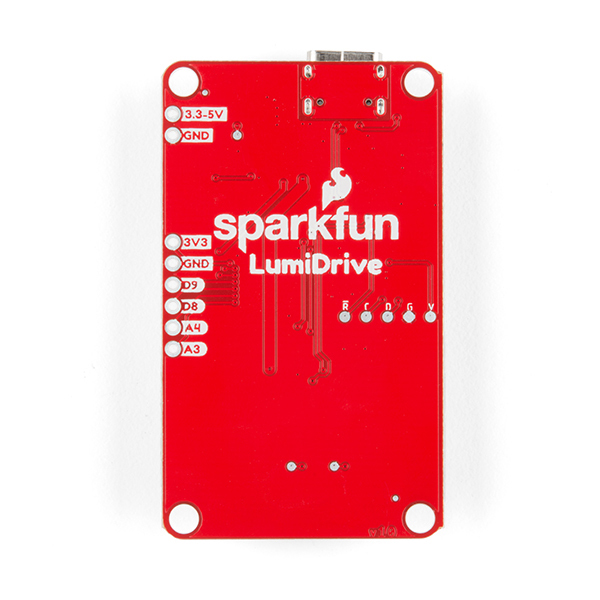 Can the LumiDrive LED Driver (the device this comment is under) drive them? Can the setups recommended on your pages for driving the Luminati devices drive the things you sell under the LuMini LED line? Yes that is correct! If you take a look at the hookup guide, you'll see that I used the 3 inch Lumini ring as an example. 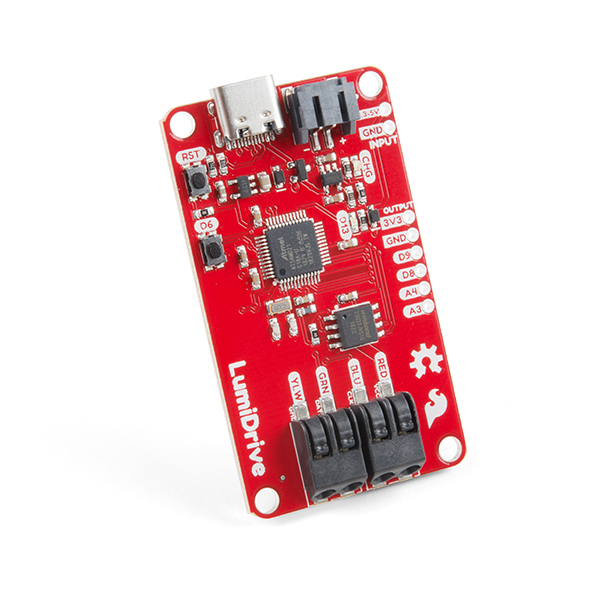 The LumiDrive works with all APA102 LEDs which is what the Lumenati and Lumini products utilize. 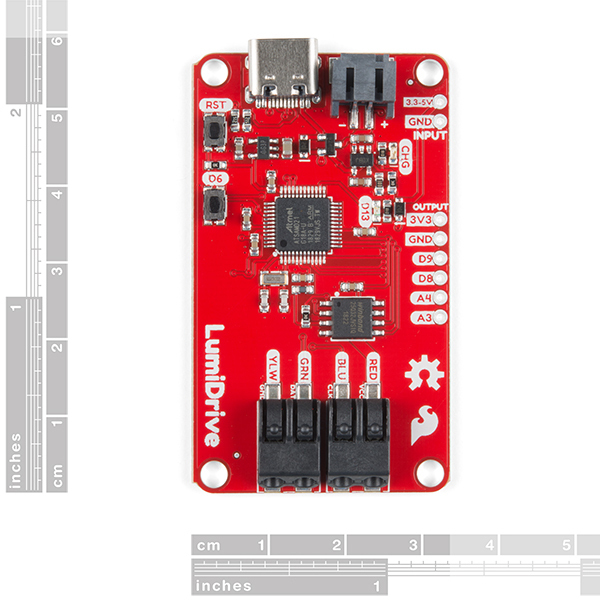 Does the LumiDrive come with CircuitPython installed? wonderful addition to the Circuitpython family!